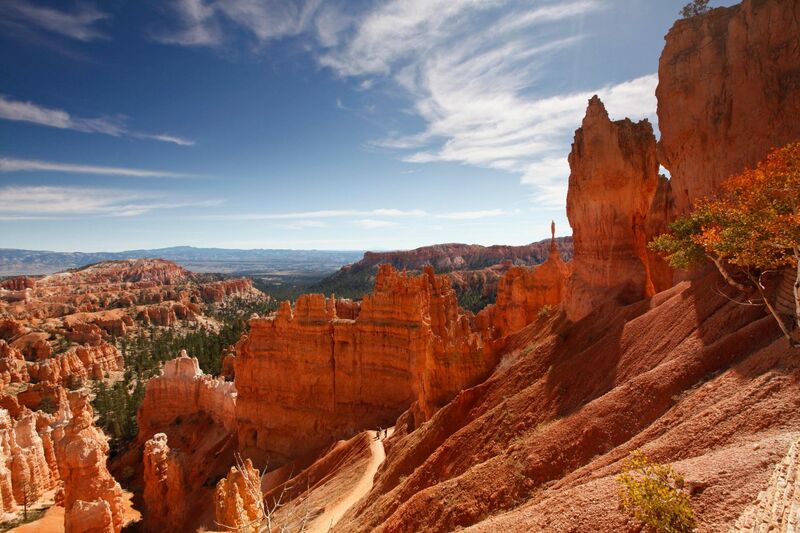 This is a short 0.8 mile hike down into Queen’s Garden Trail, Sunrise Point Bryce Canyon. It’s an easy trail with only 320 feet of elevation loss on the way down. With a little imagination, you can spot Queen Victoria at the end of a short spur trail as she oversees her garden.